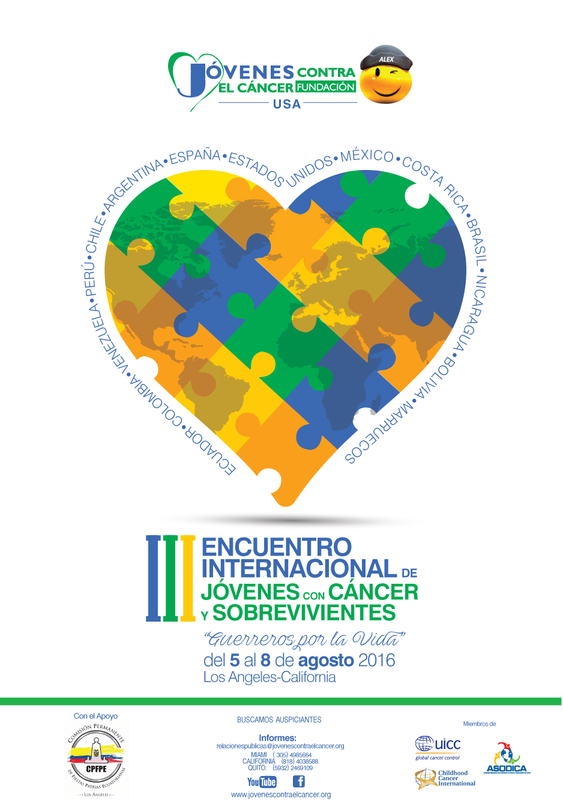 The Youth against Cancer Foundation with full support of the Standing Committee of Ecuadorean National Holidays, extend the cordial invitation to attend the Third International Conference of the Youth with Cancer and Survivors, to be held in the city of Los Angeles, California 5 to 8 August 2016. In 2012 , along with 15 countries in the World Convention of the Youth with Cancer and Survivors, we developed the Declaration of the oncological rights to the youth, we now extend you the invitation to participate in this meeting between patients from 13 countries, in which we will elaborate a manual with tips on “how I overcame my diagnosis “and strengthen leadership skills of each participant. Attached is the tab to be completed by the applicant to the 3rd. EIJCC ,which will be reviewed by the organizing committee. to Develop the youth diagnosed with cancer and survivors ,clear life projects, strengthening their leadership skills, to become sources of inspiration in their communities, positively influencing other patients and their families. Develop a manual of tips for patients and families to effectively cope with the disease and treatment of cancer. Strengthen the International Youth Network with cancer and survivors, under the concept of “Love and Cancer; without borders “for second opinions, new protocols, research and treatment. Thursday,August the 4th, 2016 arrival ofinternational delegations. Monday, august the 8th, Visit to Disneyland.Closure of the meeting. Tuesday, august the 9nth, Return to the countries.